Surprisingly neglected in accounts of Allied wartime triumphs, in 1941 British and Commonwealth forces completed a stunning and important victory in East Africa against an overwhelmingly superior Italian opponent. A hastily formed British-led force, never larger than 70,000 strong, advanced along two fronts to defeat nearly 300,000 Italian and colonial troops. This compelling book draws on an array of previously unseen documents to provide both a detailed campaign history and a fresh appreciation of the first significant Allied success of the war. 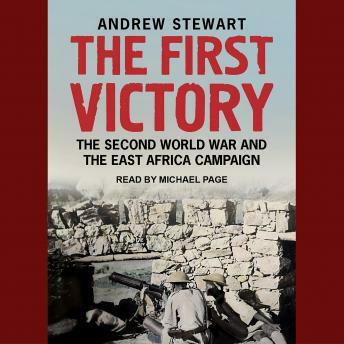 Andrew Stewart investigates such topics as Britain's African wartime strategy; how the fighting forces were assembled (most from British colonies, none from the U.S.); General Archibald Wavell's command abilities and his difficult relationship with Winston Churchill; the resolute Italian defense at Keren, one of the most bitterly fought battles of the entire war; the legacy of the campaign in East Africa; and much more.